The Showtime Lakers……are back? Not so fast! The era in basketball that was known as the “Showtime” began in the 1979-1980 season, and that team was the Los Angeles Lakers. They were known as the “Showtime Lakers” because of how well they played and moved the ball in the game, plus the success they had from the 1979-1980 season all the way to the 1989-1990 season. They had a run-and-gun play style, which relied heavily on fast break scoring rather than emphasizing on set plays, as most teams in the NBA do. However, this summer the conversation of the “Showtime” Lakers returned, nearly 30 years later. The reason for this implication was because of LeBron James’ departure from the Cleveland Cavaliers and the radical decision of joining the Los Angeles Lakers. He is known as the best player in the NBA, and possibly considered the best player to ever play the game of basketball. James has already stepped into his 16th season in the NBA and it seems as if he’s only gotten better with time, which at his age is expected for most players to have a decline in their performance. He made his decision to move from Cleveland to Los Angeles mainly based on his aging, his family, and because he wanted to be surrounded by a group of younger players who he could invest himself in and also learn while he would be there. This decision shocked the whole basketball world, although many predicted this would happen from many seasons before. The moment LeBron James made his decision to join the Lakers, LeBron made it clear to the organization what type of team he wanted around him and what his expectations were going forward. The team took into consideration James’ request and accepted it as a challenge, believing what James’ plan would be moving forward. 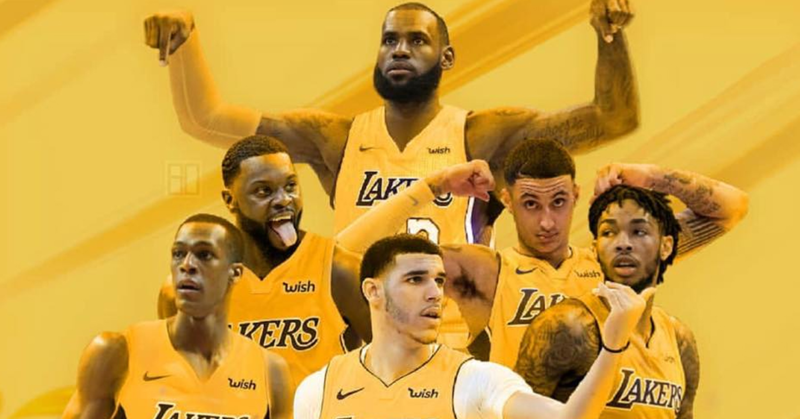 Since accompanying the team, many players signed 1 year deals, which was the plan the Lakers had prepared to see the success of the team and make further adjustments the following seasons to come. Rajon Rondo, Michael Beasley, Lance Stephenson, Javale McGee were the key acquisitions the Lakers received in free agency. LeBron had a blueprint set and ready in his mind, now it’s up to him and those in his vicinity to grow and produce great fruit throughout the 2018-2019 season.